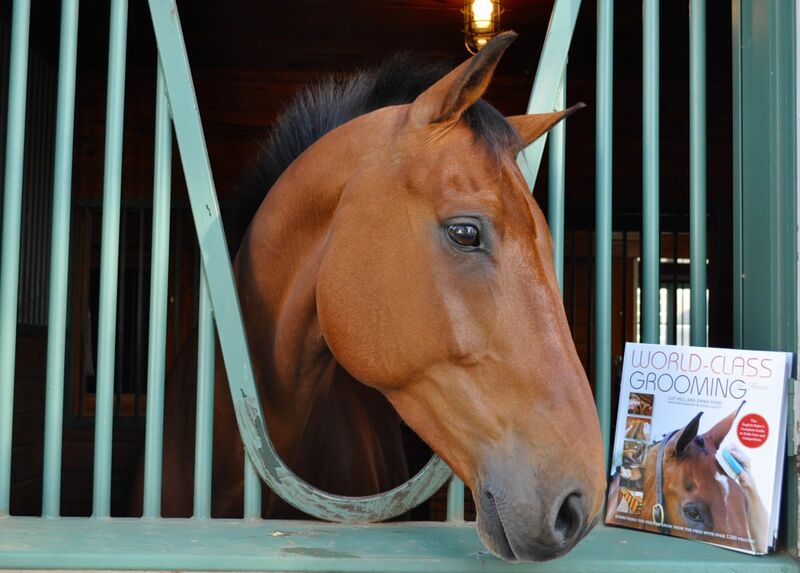 With the retirement of @Horse_ebooks, REAL horse books are taking back what’s theirs! 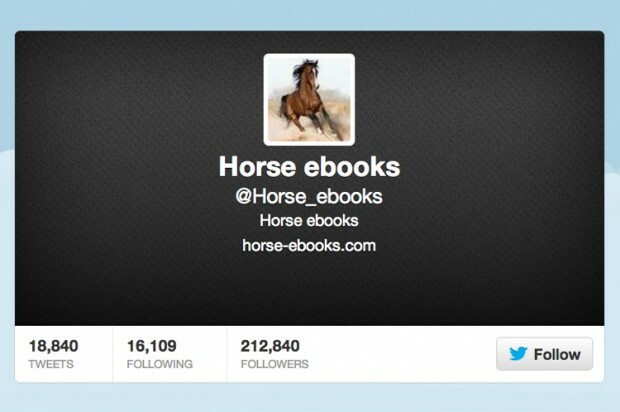 To sum up a long and convoluted story, @Horse_ebooks at one time belonged to a Russian Web developer who set up the account to drive traffic to his e-book site, e-library.net (where you could indeed purchase books about horses). Two men, Jacob Bakkila and Thomas Bender, acquired the account in 2011 and proceeded to attempt to tweet like a “bot” (those annoying automated programs that deliver spam and sales links via social media—have you noticed how their tweets and posts never make any sense?). The result was what many interpret as a form of “Net art”: Performing as a “spambot,” Bakkila pulled random bits of text from various places, and used these “found objects” to make an often semi-incoherent statement. 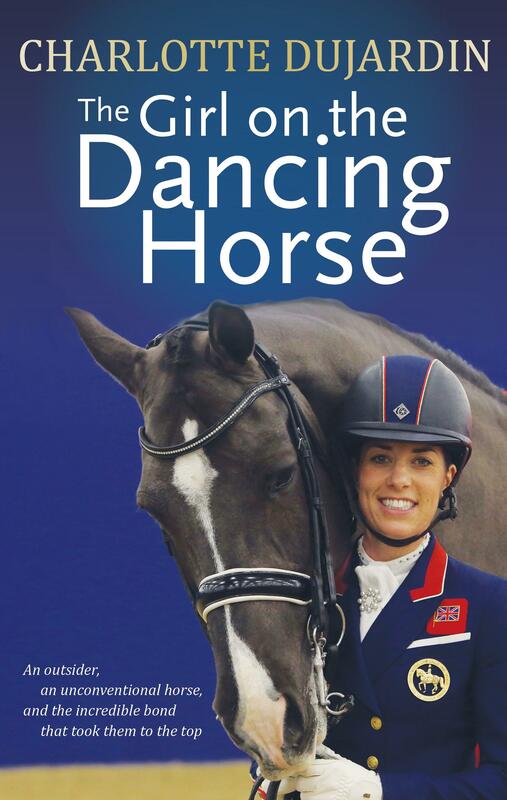 What seems mildly unfair about the whole story is the masquerade (albeit a shallow one) as a purveyor or fan of horses and/or horse books and/or horse ebooks! 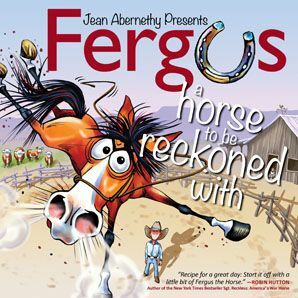 And so, with a nod to those who dreamt up the concept, and an up-front acknowledgment that “I’m no bot,” TSB would like to assure the world that the regular old, for-real horse books (and horse e-books) we publish can provide 140-character-or-less quips that are just as funny, just as meaningful, and just as “art”-worthy. Feel free to print any of these on a t-shirt! 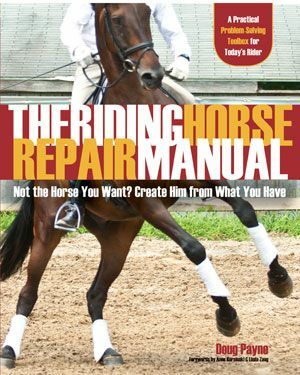 The Riding Horse Repair Manual by Doug Payne: The source of infinite wisdom. Pressure Proof Your Riding by Daniel Stewart. In life, who needs excuses? Nature, Nurture and Horses by Paul Belasik. Find YOUR path! 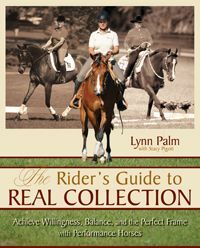 You can read these, and many other brilliant and meaningful turns of phrase in the horse books available from the TSB online bookstore. Ever wondered what a day-in-the-life of a top horse professional is like? Ever wish you were a fly on the wall of an indoor at a top trainer’s barn? 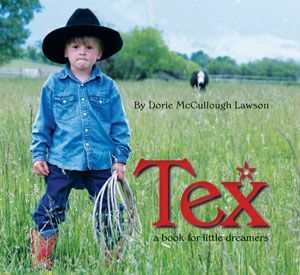 At Trafalgar Square Books, we’re asking our top authors to give us the blow-by-blow, nitty-gritty of what it’s really like to “be them” on a regular ole day, so we can live out our own equestrian fantasies just a little more clearly, and appreciate their commitment to the horses and horse sports we love just a little more honestly. 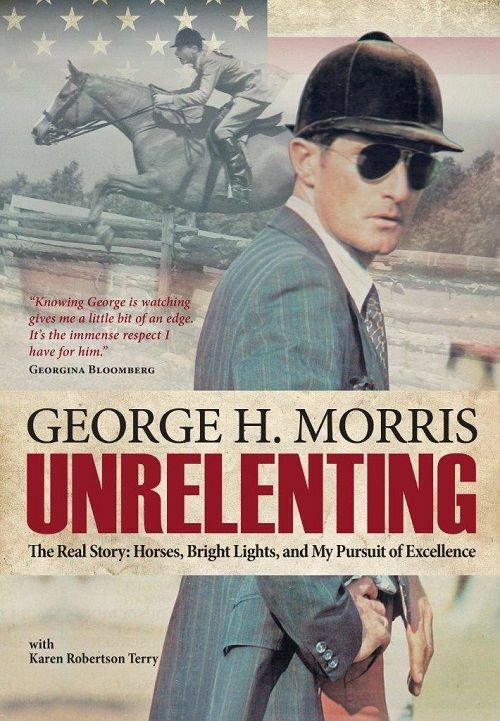 In honor of the 10-Year Anniversary of one of TSB’s all-time bestselling books, Clinton Anderson’s Downunder Horsemanship: Establish Respect and Control for English and Western Riders, we’re kicking off a new blog series with 24 hours in the life of Clinton himself. And WOW, we thought publishing made for long days! We’ve got nothin’ on this guy! Take a moment to walk a day in his boots and you’ll appreciate why Downunder Horsemanship has grown into an internationally recognized and respected brand and Method of horse training. 3:30 a.m. Train my two- and three-year-old performance horses. These are horses I have bred and raised at the ranch. They’re in training to be reiners or working cow horses. One of my top reining prospects this year is Pluto, a two-year-old colt, registered with the AQHA as Instant Upgrade. He is by Cromed Out Mercedes, an NRBC Futurity champion out of Princess in Diamonds with lifetime earnings over $146,000. Pluto’s dam, Nic N Smart, by Reminic, was one of my favorite show horses, having won all three divisions (Limited, Intermediate and Open) of the Ohio Valley Reining Horse Association Snaffle Bit Futurity with me in 2006. 6:00 a.m. Go back to the house and eat breakfast. I mostly eat bacon and eggs. 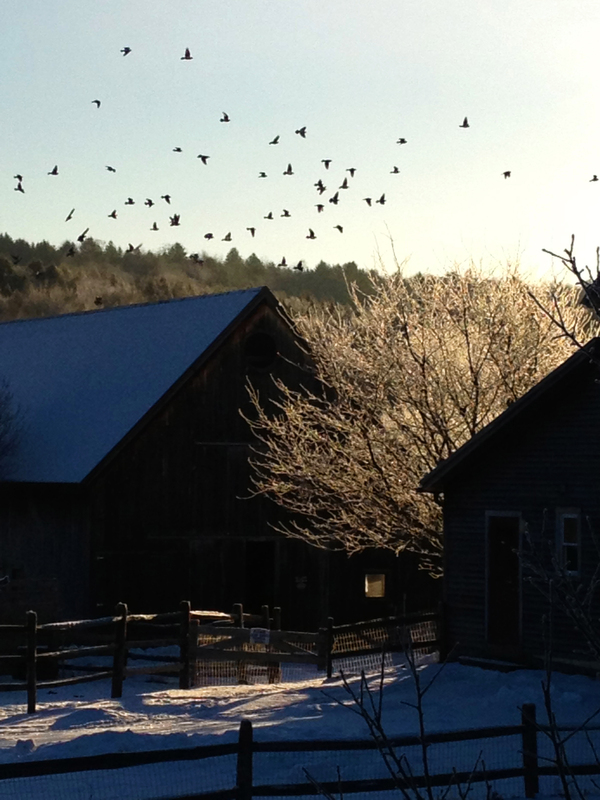 6:30 a.m. Head back to the barn to train more of my two- and three-year-old performance horses. 9:00 a.m. I hand my last horse over to my barn manager Katie Kelch and then head to the large outdoor arena to teach my Academy students. They’re each training horses, so not only am I concerned about making sure they’re learning the information I need them to, but I also want to be sure the horses are progressing through the program at a good pace. I generally start with 10 to 12 Academy students at the start of the program in June and end up with three or four outstanding individuals who actually graduate the program to become one of my certified clinicians. 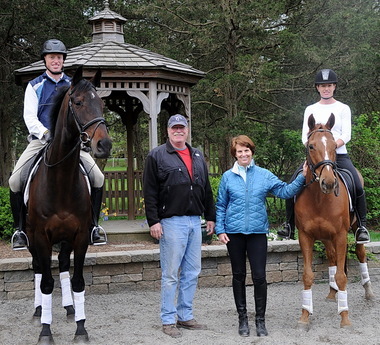 My clinicians are not only outstanding horsemen and instructors, but they each possess the four core values of Downunder Horsemanship: They are loyal, hard-working, ambitious, and personable. 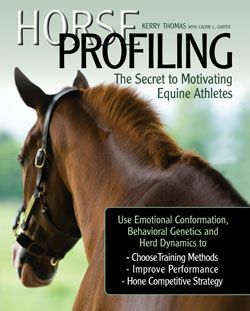 Because I’m in the people-training business, I place as much, if not more, emphasis on those core values as I do on an individual’s horsemanship ability. A big part of Clinton Anderson’s time in the office is spent replying to email! 1:00 p.m. I’m in the office daily from about one in the afternoon until six every night. When I walk through the doors of Downunder Horsemanship, I make a quick round of the office, greeting all of my teammates and checking to see if anyone needs anything from me. Then it’s down to business. To keep things simple and to keep myself from getting bogged down in details, I have three whiteboards in my office. I use one board to “spitball” ideas (a lot of Downunder Horsemanship innovations start here as my chicken scratch), another to keep track of the tasks I’m working on, and a third to follow the projects of the employees I directly manage. Support my managers and employees. Train and coach my employees. Hold employees accountable to deadlines and commitments. Maintain the culture and inspire the team to move forward. My management technique is to let my employees do their jobs. I don’t micromanage. In fact, if I feel like I have to micromanage an employee or have to constantly be tapping him or her on the shoulder, I don’t keep that employee around. I have to trust that when someone tells me he or she will get the job done, it’ll get done. I realized a long time ago in my career that I don’t need to be the smartest guy in the company; I just have to be smart enough to surround myself with the smartest people I can afford. I respond to A LOT of emails. In fact, emails take up the majority of my day in the office. Because my name is on the door, I feel it’s important that I review everything that is produced at Downunder Horsemanship. That means I watch every club DVD, television show, and DVD series, and I proofread all articles and training materials. It’s crucial to me that my customers get the right information in the easiest-to-understand format. 6:00 p.m. By six, I’m ready to call it a day at the office. Before heading out the door, I make one last round, making sure no one needs anything from me before I leave. However, I always have my cell phone on me and my employees know that they can contact me whenever they need to. In fact, we have a saying around here: “You don’t always get your way, but you always get your say.” I’ll hear anybody out, and while it doesn’t mean I’ll implement their idea, they are always encouraged to tell me their thoughts. 6:30 p.m. When I get home after a day in the office, I’m beat. To unwind, I often head out to the back of the house where I’ve set up a swing next to the pool. Some nights (well, okay, I’ll be honest, most nights! ), I pour myself a Captain Morgan and Coke and chill out. Clinton’s end-of-the-day chill-out includes a swing and a drink—and there might still be some business to take care of, too. 7:00 p.m. Depending on the time of year, I like to grill for dinner. My favorite meal is grilled lamb chops from Omaha Steak House. 7:30 p.m. Then I watch horse training DVDs to keep educating myself. Right now, I’m watching lessons I had filmed of me working with my mentor, Ian Francis. I find that I pick up on extra tidbits by going back and watching the lessons over and over again. I especially pay attention to Ian and the subtle ways he’s cueing the horses. 9:00 p.m. I try my best to get to bed at a reasonable hour so that I’m ready for another full day. I find I have to have at least seven hours of sleep to function worth a crap the next day, so that’s why I try hard to be in bed no later than nine. In fact, I prefer to be in bed by 8:30, if possible! Days when I have no other commitments besides working in the office are pretty straightforward, but those days are few and far between for me. Because I’m the face of Downunder Horsemanship, I’m a key part to most projects and have to be available for filming and photo shoots, and of course teaching clinics and doing tours. Most days involve some really creative schedule juggling to fit everything in. Clinics: When I’m teaching a clinic, I’m with the participants from 9:00 a.m. until 5:00 p.m., or whenever the clinic ends for the day. Sometimes when I really get into a lesson, the day ends a little later than five. When a clinic is going on, I lean heavily on my managers to pick up the slack for me because I can’t be in the office daily. Luckily, I have a great team that does a phenomenal job. Tours: When I’ve got a Walkabout Tour, I usually leave Stephenville on a Thursday to arrive at the venue a day-and-a-half before the show starts. I use that time to meet with sponsors and other business associates, work my horse Diez, and catch up on work. On Saturday and Sunday, I’m on from 8:30 in the morning until 6:00 in the evening. 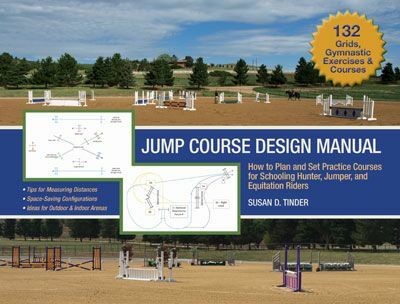 I catch a short break for lunch on both days, but other than that, I’m either in the arena explaining the Method or answering people’s horse training questions. Then I spend the majority of Monday in airports, on planes, and in the car returning to the ranch. It makes for a long weekend, but sharing the Method with horse owners and seeing some of my biggest fans makes it all worthwhile. Photo Shoots: I have to be ready to go in front of the camera at dawn when lighting is the best. Often times, we’ll start shooting early in the morning and then break around ten in the morning and pick it back up at four in the afternoon when good lighting returns. The days can be long, but I’m fortunate to have one of the best equine photographers working for me. 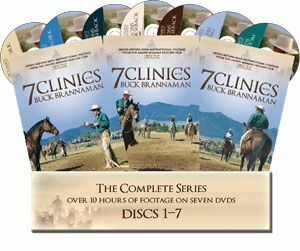 His skill behind the camera definitely keeps Downunder Horsemanship at the forefront of providing the best instruction and inspiring horsemen to reach their dreams. Clinton reviews all the footage filmed for his television show and DVDs. Filming: Creating material for television shows and DVDs consumes a third of my year. Some filming is done at the ranch, but the majority of shows are taped on location. I might be a natural in front of the camera, but my team works hard to make sure I look my best on film and get my points across clearly. At most filming sessions, we have three cameras rolling and a sound technician on hand. And, just like when I am in the office, I’m hands-on at filming and photo shoots as well, making sure the important details of a lesson are captured. 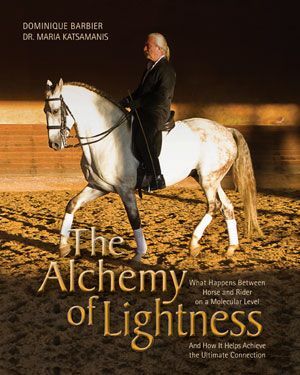 Clinton’s endless energy and amazing attention to detail brought his Method to the hands of horse lovers in his seminal book CLINTON ANDERSON’S DOWNUNDER HORSEMANSHIP. To order your copy of the 10th Anniversary Special Edition, CLICK HERE NOW. CLICK THE IMAGE ABOVE to order the 10th Anniversary Special Edition of Clinton’s first book. When you work with or ride horses for long enough, there’s bound to be at least one moment where you find yourself with your heart pounding, your stomach in knots, and all-out fear pulsing through your body. Scary incidents are an unfortunate byproduct of working with such large, powerful animals. Sometimes, a frightening scenario plays out because of human error. A person (often out of ignorance) may startle a horse or push him too hard or too fast. Horses are our athletic partners, and rider decisions made in training and competition can cause dangerous scenarios to unfold. Sometimes, the horse’s instinct for flight or fight is the source of danger. It does not matter how much you love your horse or how much you think he loves you—the fact remains that horses are hardwired for survival, and they possess teeth, hooves, speed, and size to make that possible. The good thing is that we can educate ourselves to limit the number of scary incidents and keep riding and working with horses safe. The more we know about the horse and his instincts, the more we respect his power and teach him to respect our presence, the better we are at our chosen discipline, and the more secure our seat, the safer we will be. And, when we feel safe (not scared!) we can have more fun doing what we love to do. When I was ten years old I went on a hack with my riding instructor. She was on a green training project and I was on an older OTTB mare. I’d ridden since I was five and was a confident kid. I’d also ridden the mare before in lessons. We crossed the main road and headed up a fairly steep ascent. I don’t really remember how far we had traveled when the mare I was on decided she’d just had enough. She spun, and I stuck on, but then she was off, galloping downhill on a gravel road, faster than I’d ever gone in my life. Sitting here, typing this now, I can feel my heart racing at the memory of it…of how I couldn’t stop her…how I pulled back with all my strength and seesawed the reins, but the mare just pulled back harder and ran faster. At the time, the only answer I had to the situation was to get off. At the time, hitting the ground hard seemed less scary than plummeting downhill toward a busy road on an out-of-control horse. I’d learned the emergency dismount when I’d started riding and managed some skewed form of it, flinging myself out of the saddle and then rolling, as I remembered being taught, away from my horse’s flying hooves. I had a helmet on (thankfully). I didn’t break anything (thankfully). I was sprained and bruised and shaken, but other than that I was okay. The mare, too, survived her skidding, sliding navigation across the road and back to the barn, where we found her with lathered chest and heaving sides, reins dangerously looped loose up near her ears. 1 Hold one rein tightly, braced on the neck and grabbing mane if you can. 2 Pull the other rein straight up and toward you. 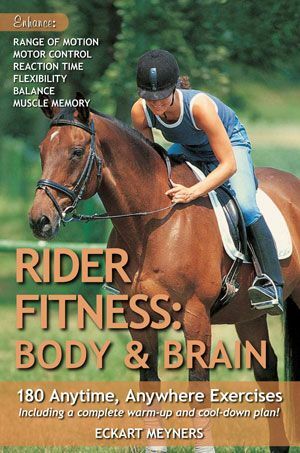 3 Lean back, push your legs forward, and sit deep in the saddle. 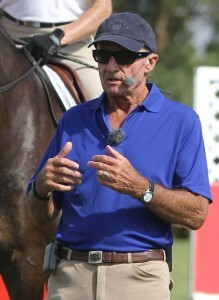 Training Tip: Clinton Anderson has a great One-Rein Stop exercise to help train your horse to immediately stop and soften at any gait when you pick up one rein. 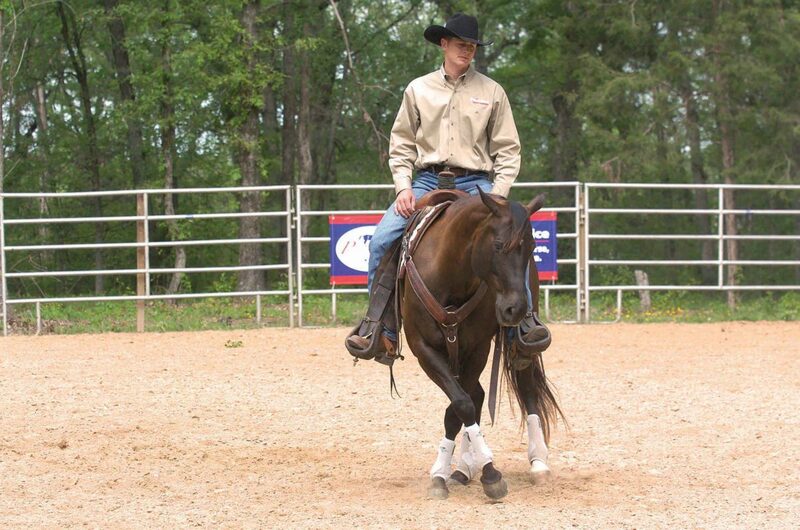 Check out CLINTON ANDERSON’S DOWNUNDER HORSEMANSHIP. But what about my instructor? What could she have done in my runaway scenario? 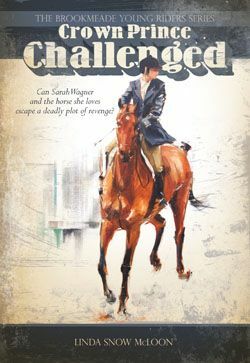 Caroline Robbins, Publisher at Trafalgar Square Books, says that some of her scariest experiences riding were out on the trail with others, watching as a horse bolted and took off, and not knowing what to do or how to help. Sean Patrick, author of THE MODERN HORSEMAN’S COUNTDOWN TO BROKE and one of this year’s Road to the Horse Wild Card Contestants, began his career as a high-country guide in the rugged mountains of British Columbia. I asked him about his experiences in groups and what onlookers should do when a fellow rider is in trouble. 1 Avoid reacting yourself. When a horse is pulling a tree out of the ground, jumping sideways or bolting off, remain still and quiet. 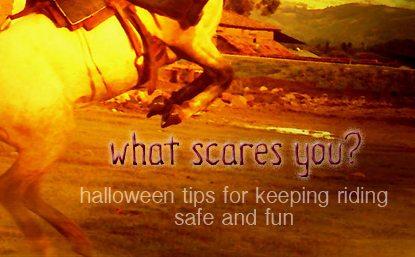 When a handler rushes toward a reacting horse or yells, “Whoa!” the result is rarely helpful. A runaway does not need another horse to run behind it as well. The fleeing reaction might continue. 2 When in the saddle, the sound of thundering hooves can initiate a startle reflex with your own mount. When you feel this anxiety building, it might be best to simply take one rein and turn your horse to face the opposite direction. A well-trained mount will be able to stand quietly, but a more-novice horse may feel influenced by the other horse’s fear. 3 When a group is together in a pasture, and one rider is having great trouble, there is very little to do except keep yourself safe. This way the runaway horse is more likely to relax, slow down, and come back to the group. 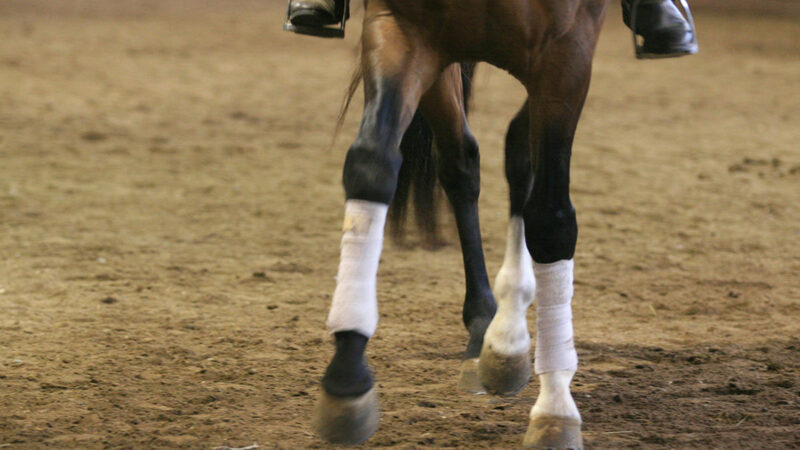 If a fall happens, at least you will be in control and able to come to the rider’s aid. When in such situations, I’ve learned to sit quietly and respond after it’s over. Horses can bring us joy, peace, companionship with other people and other creatures, and they can bring us closer to the land that surrounds us. As long as we keep learning and strive to better understand the horse and react in more appropriate ways to his own reactions, as long as we seek instruction from others with more experience so we are prepared to handle whatever happens in the saddle, then we are on our way to keeping the “scared” out of riding and working with horses, and the joy in it. All the books and DVDs mentioned in this post are available from the TSB online bookstore, where shipping in the US is always FREE. 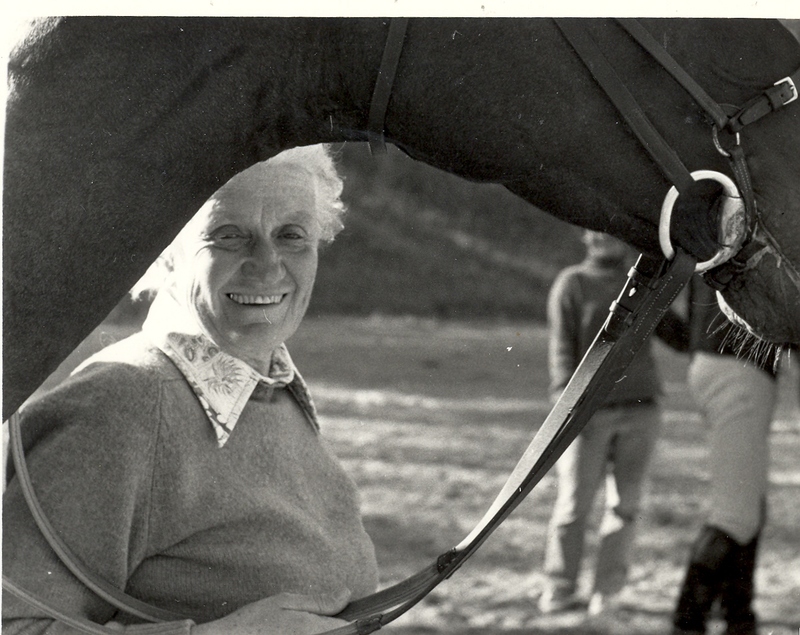 Great Photos of Horses and TSB Authors–Happy Friday! The Trafalgar Square Farm horses, enjoying the fields this past summer–we already miss those long days of sunshine and late evening rides! Sometimes, it feels good to just remember why we love horses. On this Friday, enjoy a few photos that capture why we all work so hard to have horses in our life and do right by them. 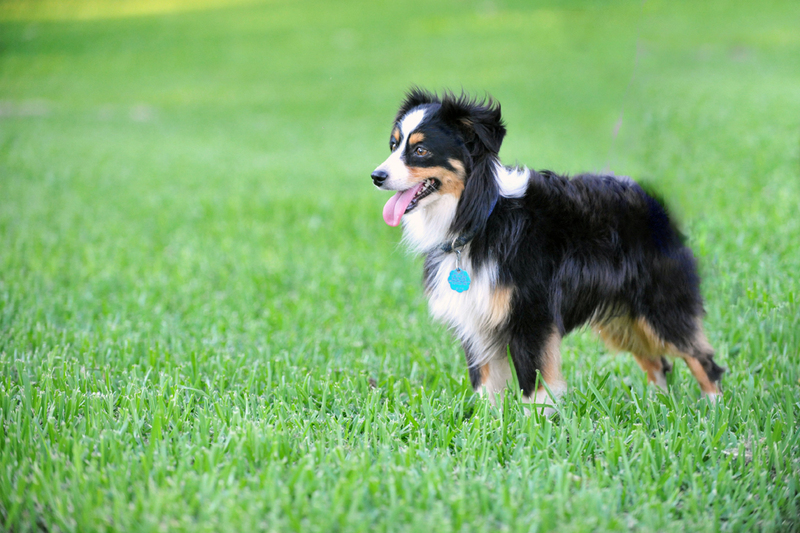 “Rocky,” TSB author Kayla Starnes’ surprise champion Toy Aussie. Photo courtesy of Kayla Starnes. 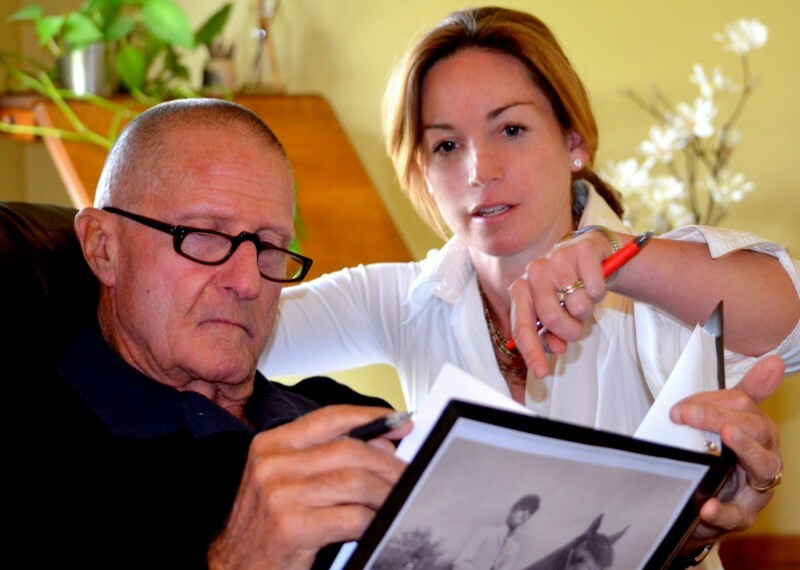 We all know that riders, trainers—and yes, horse book authors—have lives that extend beyond the barn and outside the paddock. Ever wonder what they like to do when they’re not on the back of a horse or teaching a clinic? TSB author Kayla Starnes, author of the USTRC-endorsed TEAM ROPING 101, is on her way to the Toy Australian Shepherd Association of America (TASAA) National Championships in Ridgefield, Washington, October 16-18, 2013. And Kayla’s not flying all the way from Texas to Washington to ogle Toy Aussies—she and her own pup “Rocky” are competing for the National Championship. The TASAA National Championships is a specialty show put on once a year for competitors to show off their best Toy Aussie. According to the TASAA website, it is the highest honor to be crowned a TASAA National Champion. “The fact that we are going to the National Championship is still crazy to me!” Kayla admits. “Six months ago, I hadn’t ever seen a dog show and Rocky had lived seven years in obscurity as a ranch dog. Then, an acquaintance invited me to a show and we went, just to watch. There, the show secretary told me I really should consider entering my dog, so I did. A fellow competitor was kind enough to show me the ropes and help me with some quick grooming. Rocky ended that day Reserve Best In Show! “That evening, Rocky managed to steal my chili dog when I wasn’t looking, so I had to buy myself a new dinner. I forgave him, of course, and now it’s tradition—every time he wins, he gets a hotdog. Rocky has eaten a lot of them this summer! He has earned his championship title in conformation, as well as an international championship. Kayla assures us that win or lose at Nationals, Rocky gets a chili dog. He’s earned it! Everyone at TSB wishes Kayla and Rocky the best of luck at the TASAA National Championships next week. TEAM ROPING 101, by Kayla Starnes and endorsed by the USTRC, is available from the TSB online bookstore. My last horse was a 17.2-hand Hanoverian-Thoroughbred cross. He was HUGE and a bit goofy, with a full-blown case of “Overgrown Puppy” Syndrome (something I’ve witnessed in other big, sweet horses more than once). Having been “horseless” for several years before “G” came into my life, I was rather indulgent with myself, and with him, lolling in the romance of having a horse of my own again. That admission of foolishness aside, I found it truly difficult to reconcile my own desire to work with him in a positive manner, to show him how much I adored him, and yet keep him from—innocently or not—literally stepping all over me. This distinction of Linda’s is a bit of a wake-up call for me. I admit I am a pacifist, and on top of that, I abhor confrontation. Stir in my passion for animals and my desire to somehow help right the many wrongs we humans inflict on other creatures the world over, and you have the perfect combination of Little-Miss-Wuss-Meets-Animal-Advocate. The only thing that kept me from getting smushed, crunched, stomped, banged, and rubbed to bits by my new horse was a lifetime of horse experience and a pretty decent riding-and-training education. 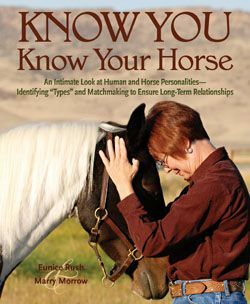 But Linda’s words reminded me of my earlier years with horses, working with tough cases, problem horses, and green-broke Mustangs. Establishing boundaries with a smack on an encroaching shoulder or a timely tug on the chain lead had never given me pause before. What was it about establishing boundaries that I now found so difficult? Bingo! 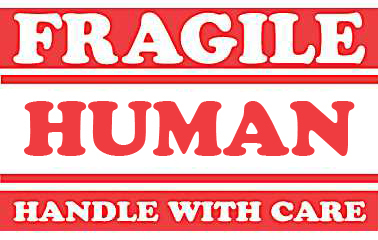 I need to remember that I am FRAGILE. Yes, I’m the caregiver in the horse/human relationship, but as Clinton says, we need to tell our horses to take care of US. That is an honestly come by reason for establishing respect when working with an animal ten times our weight. 1 While holding your horse, draw a circle all around you in the dirt with a four-foot-long training stick or dressage whip. Your horse must stay beyond the tip of your stick when you bend forward and reach with your arm toward him—about seven feet away from you. 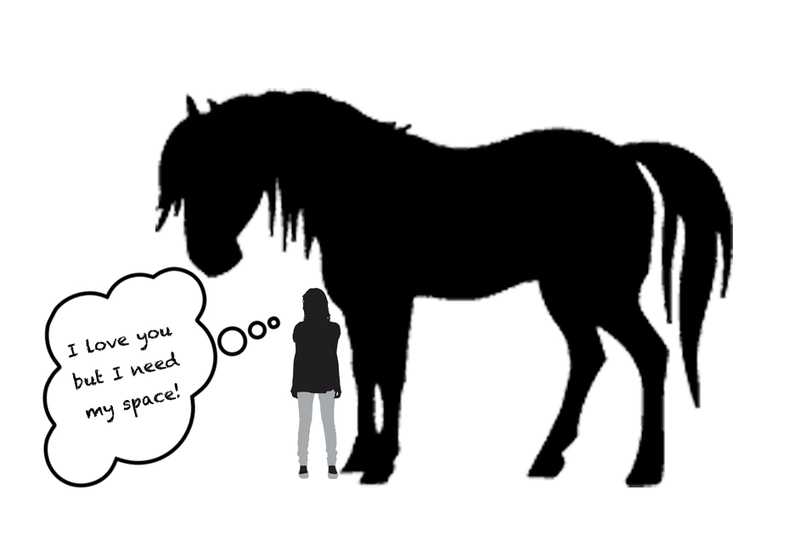 2 Teach your horse to maintain this distance by backing him away whenever he moves in closer to you (note: on his own vs. when you invite him in). Back him away by wiggling the lead rope and swinging your stick from side to side in front of you as you walk toward him. Your goal is for him to move back the instant your body language tells him to, so move toward him with as much energy as necessary to get his attention. Alternate the “wiggle-and-wave” method with a second body position: Carry your stick as if it were a ski pole and literally “march” in an exaggerated motion toward your horse until he moves back. When he takes a step back, stop and praise him. 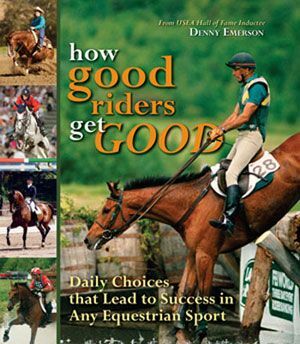 Both Clinton Anderson’s newest book PHILOSOPHY and DRESSAGE WITH MIND, BODY & SOUL are available now from the TSB online bookstore. Click image to order the new book from Clinton Anderson. 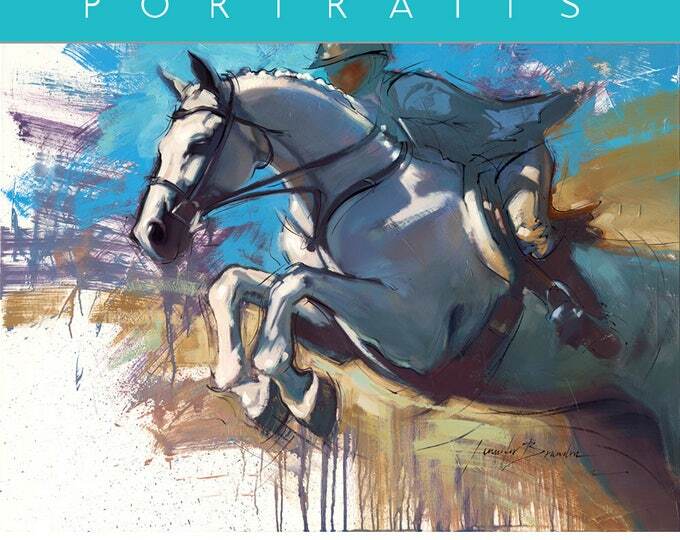 Click image to order the new book from Linda Tellington-Jones. 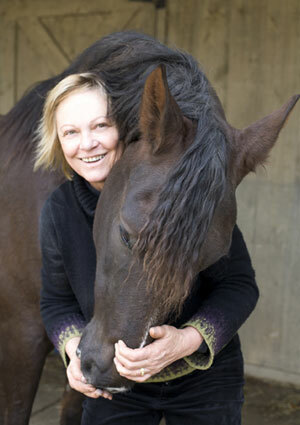 Rebecca is the coauthor of Linda Tellington-Jones’ new book Dressage with Mind, Body & Soul and believes that often an “aha” moment comes when we see that two horsepeople who may come from very different backgrounds and who approach challenges in very different ways offer the same advice. 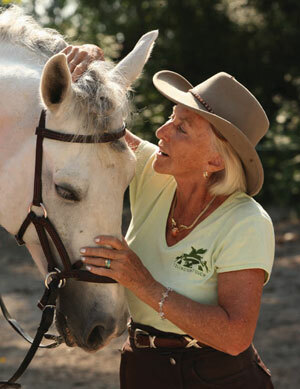 Rebecca does not subscribe to any one training method, but in her own work with horses, strives to find the best ideas and methods from the many different riders, trainers, and horse experts to whom she feels lucky to be exposed on a regular basis.